About Wesley C. Wise, DDS & Assoc., LTD | Oak Park, IL. We’ve been treating the families of Oak Park for generations and have an intimate knowledge of our community and its needs. When you visit our practice, you’ll be greeted by a warm and friendly staff that has your best interests in mind. Our commitment is to offer conservative, affordable dentistry to help preserve your unique smile. 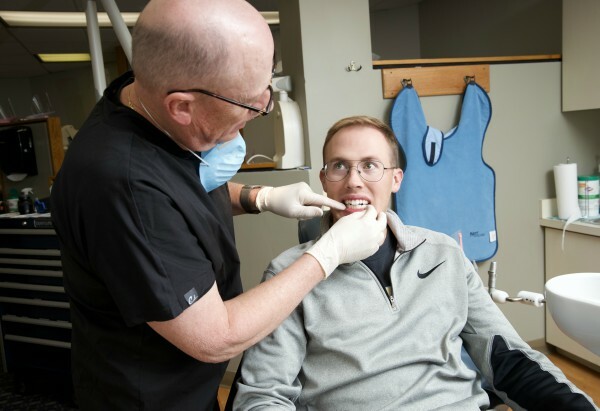 With the latest dental technology and an expert team of dentists, it’s guaranteed that you’ll be receiving some of the best oral care in all of Oak Park. For all our services, our staff would be happy to walk you through the treatment and help you make an informed decision on the options best suited for your needs. All our dentists has different specialties and talents that contributes to the success of our practice. Dr. Wise, Dr. Chan, Dr. Madison and Dr. Cho work together to give the practice of Wesley C. Wise DDS & Associates, LTD our trustworthy, patient-friendly reputation. With all their combined talents, they’ve helped build a practice known for our comprehensive conservative care. Learn more about them below. We understand that there are many dentists to choose from, and believe that it’s our integrity and honesty that makes us unique. We’re very upfront about costs and want to work alongside you to choose a treatment plan that you can afford. Oak Park has been very generous to us, and we always try to return the favor with our gentle, non-invasive care for the whole family. We’re a conservative dental practice, which means our treatment will only affect the intended area, nothing more. More importantly, we’ll never try to sell you on a procedure you don’t need. With our precision technology and experienced staff, we promise that you’ll be informed every step of the way and can feel confident that you’re receiving the best treatment. Still anxious about your dental visit?